The port city of Volos and the mountain region of Pelion combine to make a mythical, scenic and historical region, which is one of the most popular in Greece. This joint destination is situated in the region of Magnesia and positioned between the Pagasetic Gulf and Aegean Sea, 320km north of Athens and 220 km south of Thessaloniki. VOLOS was built on the ruins of the city of Iolkos, which was the home of Jason and Argonauts and therefore is a famous and legendary destination. Many tales and movies depict this mythical campaign, based on a group of brave adventures boarding the ‘Argo’, which was playfully protected by the goddess Hera. They sailed this infamous vessel to the shores of Colchis on the Black Sea Coast to retrieve a magical ‘Golden Fleece’. A traditionally built replica vessel was used to copy this amazing voyage in 2008, which took the modern day adventures 2 months to complete. This version of the ‘Argo’ is now a symbol of the city and can be seen on the seafront of Volos. Argonauts Ave is a paved walkway on the sea front and has many restaurants and bars, all having fantastic sea views day and night, where visitors can also enjoy ‘tsipouradika’ (supplier of the traditional drink and accompanying food). Many ships, boats and yachts can be seen leaving and entering this busy and lovely harbor, all of them on there own mini adventures! Many visitors combine a visit to this amazing region with a cruise to one or several of the nearby Greek Islands. The city is very interesting and has many impressive and important buildings, none more so than the Archeological Museum and Town Hall. The University of Thessaly is a magnificent building in itself, but is becoming more important to the growth of the city, as its popularity with students worldwide increases. This addition of young inhabitants from different countries and cultures is adding a vitality and energy to the city. Volos contains all the usual things you expect from a tourist destination; hotels, shops, plenty of places to eat, drink and also relax, but also museums, gallery, art center and famous railway station (and museum). There is also the lovely white beach area of Anavros, which has the Blue Flag Award, plus a delightful green park area. Nearly all of the beaches in this region have beautiful clear blue water and this is exception. PELION mountain and coastal region is a place of stunning sea views, lush vegetation, ancient culture and beautiful villages. It is most famous for being the home of the Centaurs, the mythical half human and half horse creatures, who had supernatural powers and extraordinary wisdom. Myth has it that Mount Pelion was home to the Centaurs, but was also the play ground of the Greek Gods from Mount Olympus. The Pelion villages have grown over the centuries and become natural museums of culture, folk law, architecture and religion, many of them linked via scenic foot and cycle paths, which are extremely popular for visitors. 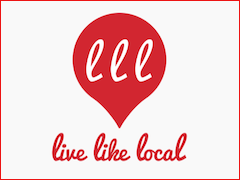 Live Like Local is a locally run tour company that has a selection of tours, plus specialises in getting involved in the community and making visitors feel like a local. There are many hotels throughout the region and with the destination being part beaches and part mountain it is best to have a chose of one in each. For the beach it has to be Valis Hotel, which has all the facilities required from a modern and styling venue. 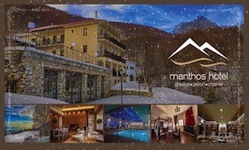 For the mountain region it is the Manthos Hotel, which is situated in an amazing location and is also friendly family run Spa Resort too. The village of Portaria was once a commercial centre for this mountain region, but is now known as the ‘Welcoming Lady’ due it’s neoclassical mansions that have been converted into homely and comfortable hostels. It has the small chapel of Panagia of Portaria, from which it got its name from and a Historical and Folk Museum. It has cobbled streets, paths and squares, which have colorful flowers and vegetation, such as the Centaurs Path and Cascade of Karavos. There is also the byzantine church and old monastery, plus stunning views of the Pagasetic Gulf. 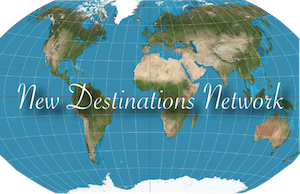 This region has many annual meetings, concerts and events involving; dance, song and folk law, plus wedding themed services too. All the villages in this region have restaurants, hostels, and hotels, one of the most popular is Kritsa (Hotel of Gastronomy), which serves a variety of amazing traditional dishes including the world famous ‘Greek Meze’. Kissos is a small picturesque village, which is not visible from main road, but it hides amazing beauty and buildings of religious significants. The cobbled square is home to the three-aisled Basilica Church of Agia Maria, which was built by the famous craftsmen from Epirus and contains ornate wood carving believed to depict Noah’s Ark. Many paths lead away from the village into the mountains, one of them taking visitors to the beautiful Monastery of Agios Efstathios. Milies is the ‘head village’ of the whole municipality and receives the largest numbers of visitors, due to its natural beauty, architecture, central square, fountains, restaurants and hotels. The Church of Pammegiston Taxiarchon was built there as dedication to the Archangels; Michael and Gabriel. It has great religious significance and also contains byzantine frescoes, plus historical and religious relics. There is also the ‘town hall’, which houses a museum that has a collection of folk art and paintings by Theofilos. ‘The little train of Pelion’ is very popular and is historically important in the growth of this region. This 60cm gauge railway line that runs between Milies and Ano Lehonia, was the main transport and trading link to nearby locations. It is also known as ‘moutzouris’ which is a Greek nickname for something that turns things black, due the use of coal on the steam trains. The 90 minute route (which usually includes a stop at Ano Gateza station) takes in great scenery and views, plus crosses the famous bridge of Taxiarhis, which is known as ‘De Chirico’s Bridge. The Pelion mountain range and peninsular separates the Aegeaon Sea and Pagastic Gulf, so there are water front villages on both sides. One of the most stunning examples is Affissos, as it is picturesque and has three attractive beaches too; Kalliftteri, Lagoudi and Ambovos. Other stunning coastal villages are; Horefto, Ag.Saranda, Banikas and Agios Ioannis, but there are many to chose from, that is why many people who visit this region, return year after year. Volos/Pelion benefits from the long hot Greek summers, that draws thousands of visitors from around the world per year, but an additional benefit to visiting this region are the breath-taking sunsets. Due to the height of this mountainous region, not being far from the famous Mount Olympus, winter sports is also popular. The main Ski Centre is on the northern slope of the Agriolefkes Peak and it contains everything required for a fantastic winter holiday. Many destinations in the world boast amazing; white beaches, blue sea, lush vegetation, picturesque villages, amazing mountain and sea views, beautiful walks, history and culture, but only Volos/Pelion includes all them plus, the mythical ‘Jason and the Argonauts’ and the ‘Playground of the Gods’!